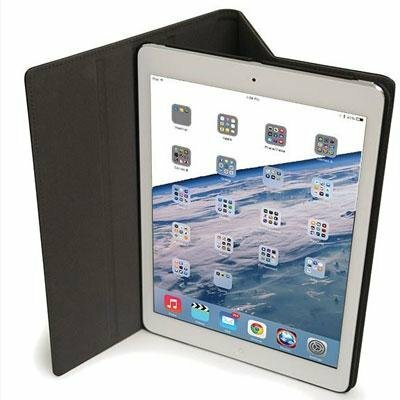 The Excellent Quality Deluxe SlimFit iPad 10" Black - Mobile Edge - Deluxe SlimFit iPad 2/3 Case/Stand - 10" - Black. Durable folio-style protection for front and back of your iPad. SmartCover functionality for auto sleep/wake functions. Stand Feature with Multiple Viewing Angles . Protective & Shock Absorbing. Stylish Vegan Leather Exterior.